James Tooley has been described as a 21st-century Indiana Jones, travelling to remote parts of the developing world to track something that many regarded as mythical: private schools serving the poor. It was in the Indian city of Hyderabad that Tooley first discovered these schools, and wrote about them in his award-winning book The Beautiful Tree, which also documented state corruption and the attempts to shut the schools down. But the state was to exact revenge: upon returning to Hyderabad, Tooley was unjustly arrested and thrown into prison. Conditions in the prison were dire, and the jailers typically cruel and violent, but the other prisoners were extraordinarily kind. Chillingly, many had been in prison for years, never charged with anything, often victims of police corruption, too poor to go to court and secure bail. 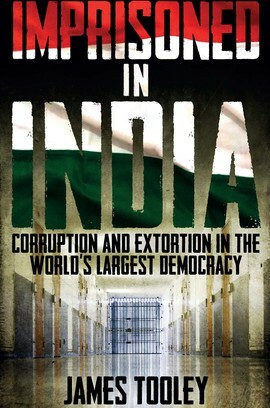 Imprisoned in India tells the story of Tooley’s incarceration and subsequent battles with maddeningly corrupt Indian bureaucracy, which made him realise how fundamental the rule of law is to the workings of a good society. It’s something we take for granted, but without which all human flourishing is threatened, especially for the poor. Tooley discovered, too, how the human spirit, even amongst those wrongfully imprisoned, can soar above the brutality and tyranny of those in power.